Who thinks of curling in the middle of an August heat wave? The South Shore Curling Club does! Our curling season begins in October, but before we start we'll be having our first Learn to Curl session on Tuesday, September 25, 2018 from 8:15 to 10:15pm. The session includes on-ice training followed by a real game, and all equipment is provided. The cost is $40 per person and will be held at the Bridgewater Ice Arena. Register this Sunday! Registration opens on September 2. Visit our website (southshorecurling.com) then to sign up ... and please note that these often sell out quickly! These presentations will explore gender identity, transgender rights, and the discrimination that transgender people face in their daily lives. It will also include steps that transgender allies can take to advance social and legal rights for transgender people. As parents of a transgender son, we share our own personal story and our family’s journey from acceptance to advocacy. In 2016, the Massachusetts legislature passed a law to fully protect transgender people from discrimination. This law is now under attack. On the November 2018 statewide ballot there will be a referendum question to repeal the non-discrimination law that protects transgender people in Massachusetts. We hope that you will become informed on the referendum question and that you will support transgender equality in our Commonwealth. For details on the 2018 Massachusetts transgender ballot question, please click here. Repairs of the Bridge Street bridge will commence on Wednesday, August 29, 2018. Repairs are expected to extend a couple weeks. Electronic signboards will be placed at High & Bridge and at Plain & Bridge. This project will require a complete closure of the bridge; with Riverview being the last street that can be accessed in the area leading to the bridge. If you have questions or need more information, please contact the Roadways Department at 508-697-0931.
at the box office for $12.00. Please call 508-697-0929 for your name to be entered into the lottery. Sunday, September 30, 2018 3:00 p.m. This concert is free of charge and open to the public. Made possible by the local Mass Cultural Council. 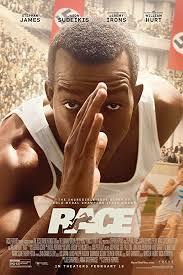 Based on the incredible true story of Jesse Owens, the legendary athletic superstar. His quest to become the greatest track and field athlete in history thrusts him onto the world stage of the1938 Olympics. Here he faces off against Adolph Hitler’s version of Aryan supremacy. All are welcome to join us for this free presentation and the discussion to follow. Sixth in our Black Lives Matter film series. 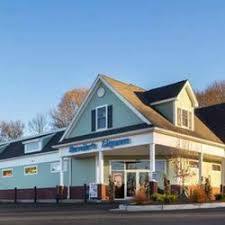 The Animal Protection Center of Southeastern Massachusetts in Brockton will be holding a Paint Night fundraiser from 6 p.m. to 9 p.m. on August 28th at Barrett's Ale House, 425 Bedford Street. The painting will be cat themed. Tickets are $45, plus food and drinks, with $15 of each ticket going to the shelter. To register or for more information, call 508-586-2053 or visit www.apcsm.org. 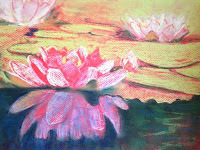 Come pastel paint Monet’s Water Lilies with Gregory Maichack at the Bridgewater Public Library on Tuesday, September 4th @ 5:30 pm. Gregory Maichack twice nominated for the MCC Gold Star Award, and award-winning pastelist, presents an adult hands-on workshop, “Monet’s Magic: Pastel Paint Monet’s Wondrous Water Lilies”. Imagine using the actual imagery that inspired Monet to paint his “Water Lily” paintings. 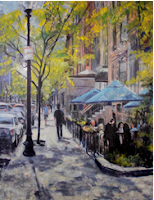 In this new, highly researched two-hour workshop, participants create their own pastel painting. Greg demonstrates how beginners to accomplished artists can easily pastel paint while applying techniques applied by masters. He provides hundreds of professional grade pastels, paper, & pencils. The workshop is free and open to the public. Space is limited. 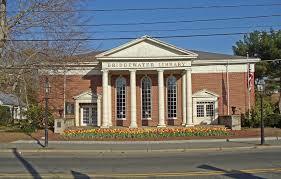 Registration is required at www.bridgewaterpubliclibrary.org under events. Bernier's 67th Anniversary - Save The Date! Please join us for our 67th Year Anniversary Celebration!! In addition to wine, beer and liquor tastings, we will also have games, giveaways and raffles. A portion of all raffle proceeds will be donated to the Bridgewater Food Pantry. Radio station 99.1 will be there from 12 - 2 pm. Bernier's would like to thank all of their family, friends and customers for 67 years of business. First Parish Unitarian Universalist Bridgewater would like to invite all of its neighbors from Bridgewater and the surrounding towns to two special "Welcoming Our Neighbors" services on Sunday August 19 and Sunday August 26 at 10:30 a.m. in our historic church at 50 School St. Bridgewater, just off the town common. Please join us in our lovely New England style sanctuary and meet our friendly congregants. We would love to get to know you! August 19th: "Our Beloved Community" - At First Parish, we covenant to live together in peace, to speak the truth in love, and to help one another. It works for us and it could work for you, too! August 26th: "Our Living Tradition" - Unitarian Universalists express their beliefs using many different kinds of religious language and drawing from a variety of religious traditions. In the end, these are the many different ways we have come to understand our place in creation -- and it all comes down to having faith in the power of love. The Bridgewater Community Dance Series will be starting its eighth year this coming September, featuring a mix of international folk dance and New England squares and contras. We have a steady group of 20-30 dancers, who not only enjoy the dancing (it’s great exercise! ), but also enjoy the opportunity for joyful interaction with others. For 2018/2019, dancers may sign up for an eight session fall series, a twelve session winter/spring series, all 20 sessions, OR may attend any dance without committing to the series. No prior experience is required, all dances are taught, and first time attendees get a free night! 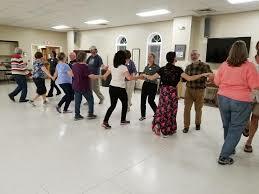 Dances are held on alternating Fridays—with some exceptions—from 7:30-9:30 p.m., at the Bridgewater Senior Center. (Note: This is not a seniors’ only event.) Dates for the fall are September 7 and 21, October 5 and 19, November 9 and 16, and December 7 and 21. Dates for the winter/spring series are: January 4 and 18, February 1 and 15, March 1, 15, and 29, April 5 and 19, May 3 and 31, and June 7. Session fees, per person, are $48 for the fall, $72 for the winter/spring, or $105 ($15 savings) to sign up for both. Single night attendees will be charged $8 per dance. Dance leader, Sam Baumgarten, professor emeritus at Bridgewater State University, has over 40 years of teaching experience and continues to teach classes at BSU in folk, square, and contra dance. To obtain a registration form or for more information, contact Sam at 774-208-2933, or sbaumgarten@verizon.net. Don’t be afraid to try it out, maybe get out of your comfort zone. You won’t be disappointed! An Artist Meet and Greet will be held on Wednesday, September 26th at 2:30 pm. In the Art Gallery: During the months of August and September is “Mapscapes” by Sean J. Cassidy. Now thru September 1: Enter our Back to School Raffle to win back to school supplies! Raffle tickets are $1.00 each or 6/$5.00. Displayed and sold at the main circulation desk on the first floor. Winner drawn on September 4! You do not need to be present to win. Wednesday, August 8 @ 6:30 p.m.: Summer Reading Finale! Join us for yo-yos, music and dance with The Ooch Experience. All ages welcome, no registration. August 9 thru September 1: Summer Reading Sale! Our summer reading sale in the Used Book Store begins with all adult books, CDs, and DVDs half off. All adult’s items are now 50¢, August 9 thru September 1. Friday, August 10 @ 10:30-11:30 a.m.: Lego Mania: Ages 5+ are welcome to join us for this drop in program. We provide the Legos, you bring the imagination. Legos displayed in the children’s room after the program, as space permits. No registration. Monday, August 13 @ 10:30 a.m.: Movie and Popcorn: Wrinkle in Time. (PG, 120 min). All ages welcome, no registration. Adult must remain with child. Tuesday, August 14 @ 10:00-11:00 a.m.: Spanish Story Hour with Maureen Holbrook. Registration was required for this session. Week 4 of 5 week program. Wednesday, August 15 @ 1:00 p.m.: Candy Bar Bingo. Join us for a game of Candy Bar Bingo; winners take home prizes including CANDY! 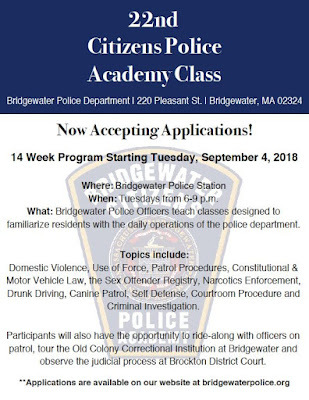 Ages K+, registration required. Friday, August 17: Registration opens Music and Movement with Nancy Kidd on August 30 @ 10:30-11:15 a.m. For ages walkers to 5. Saturday, August 18 @ 10:30-11:30 a.m.: Read to a Dog! Come meet Duncan, a registered therapy dog! Read him a story or just visit with him! All ages welcome, no registration. Monday, August 20 @ 10:30 a.m.: Ernest Goes to Camp. (PG, 92 min). All ages welcome, no registration. Adult must remain with child. Monday, August 20 @ 1:30 p.m.: Movie: A Quiet Place. (PG-13, 90 min). Monday, August 20 @ 5:00 p.m.: Movie: A Quiet Place. (PG-13, 90 min). Tuesday, August 21 @ 10:00-11:00 a.m.: Spanish Story Hour with Maureen Holbrook. Registration was required for this session. Week 5 of 5 week program. Tuesday, August 21 @ 10:30 a.m.: Movie: Parent Trap. (PG, 128 min). All ages welcome, no registration. Adult must remain with child. Wednesday, August 22 @ 10:30 a.m.: Movie: Holes. (PG, 97 min). All ages welcome, no registration. Adult must remain with child. Thursday, August 23 @ 10:30 a.m.: Movie: Heavyweights. (PG, 117 min). All ages welcome, no registration. Adult must remain with child. 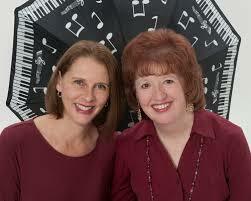 Thursday, August 30 @ 10:30-11:15 a.m.: Music and Movement with Nancy Kidd. For ages walkers to 5, registration required. Friday, August 31 @ 10:30-11:30 a.m.: Make and Take Craft: Drop in to make your own Back to School Trail Mix! Create this edible treat to take home with you! Ages 3+, no registration. The Massachusetts Department of Public Health (MDPH) announced on 8/3/2018 that (WNV) has been detected in Mosquitoes in Bridgewater, Massachusetts for the first time this year. The mosquito sample was collected on July 31, 2018 in the Town of Bridgewater. 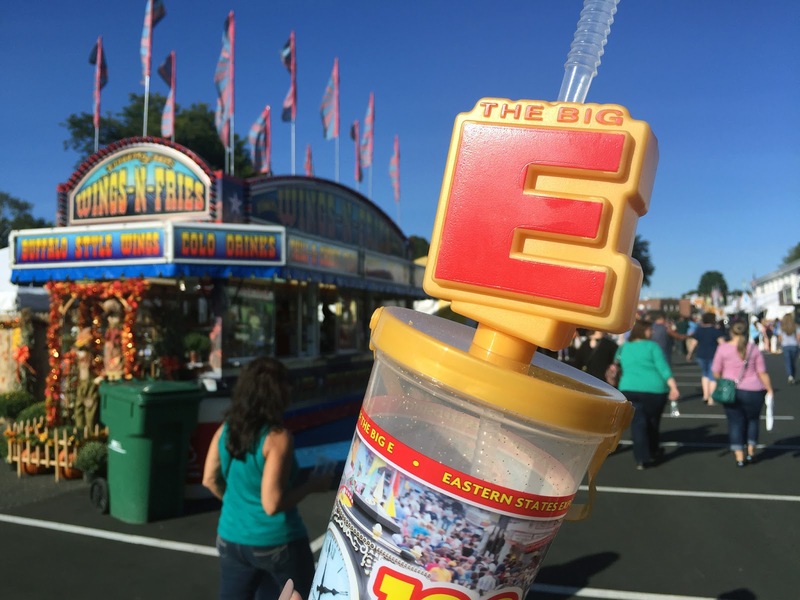 As of August 6, 2018 there are NO positive tests for (EEE). Be Aware of Peak Mosquito Hours- The hours from dusk to dawn are peak biting times for many mosquitoes. Consider rescheduling outdoor activities that occur during the evening or early morning. Otherwise take extra care to use repellent and protective clothing. Clothing Can Help reduce mosquito bites. Although it may be difficult when it's hot but wearing long-sleeves, long pants and socks when outdoors will help keep mosquitoes away from your skin. Apply Insect Repellent when you go outdoors. Use a repellent with DEET (N, Ndiethyl-m-toluamide), permethrin, picaridan (KBR 3023), IR3535 or oil of lemon eucalyptus [p-methane 3, 8-diol (PMD)) according to the instructions on the label. DEET products should not be used on infants under two months of age and should be used in concentrations of 3 0% or less on older children. Oil of lemon eucalyptus should not be used on children under three years of age. Permethrin products are intended for use on items such as clothing, shoes, bed nets and camping gear and should not be applies to the skin. Mosquito- Proof Your Home Drain Standing Water- Mosquitoes lay their eggs in standing water. Limit the number of places around your home for mosquitoes to breed by either draining or getting rid of items that hold water. Check rain gutters and drains. Empty any unused flowerpots and wading pools and change water in birdbaths frequently. Install or Repair Screens- Some mosquitoes like to come indoors. Keep them outside by having tightly-fitting screens on all your windows and doors. While the Health Department continues to work closely with MDPH and other agencies, locally we are actively taking steps to prepare our community for any future positive results. 2018 Fall Tops Soccer Registration OPEN! Bridgewater Youth Soccer Association wants to let everyone know that along with our popular Fall Recreational Program, our TOPS Fall Program is also now open for registration. TOPS (The Outreach Program for Soccer) is a community based soccer program that is designed to meet the needs of children aged 4-12 years with physical and/or mental disabilities. The program is geared toward player development rather than to competition. TOPS is open to any child with a disability including but not limited to: A.D.D., Autism, Hearing Impaired, Sight Impaired, Cerebral Palsy, Traumatic Brain Injury, Cystic Fibrosis, Down's Syndrome, Multiple Sclerosis, Muscular Dystrophy, Seizure Disorder and Spina Bifida. It may be necessary to provide a doctor's permission slip in order for your child to participate. Participants must be born on or after August 1, 2006 and on or before July 31, 2014. (U6-U12). 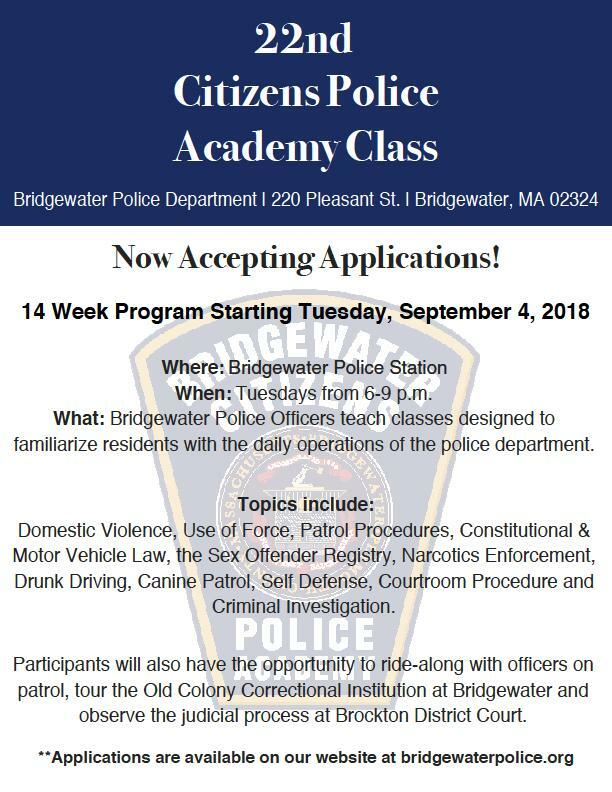 Participants are not limited to the town of Bridgewater and this is a no cost program. The season will begin on Saturday, September 8, 2018 and continue every Saturday for eight weeks. Each game/practice will be held at the Flagg Street fields at 2:30 p.m. 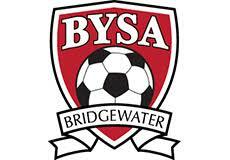 Please contact bridgewateryouthsoccerinfo@gmail.com with any questions. Bridgewater Girls Softball is hosting their 2nd Annual Wiffleball Tournament on Saturday, August 11th. The opening ceremony will begin at 9 a.m. Last year they had 20 teams competing in 2 co-ed divisions. Please help them to make this year’s tournament bigger and better. The deadline for team registrations is August 4th so get your teams in. You can register online by using the link below or by going to the BGSL home page. If you aren't able to play you can still support BGSL by sponsoring the event. If you’re interested in helping in other ways, they will be looking for volunteers to help with both the operations during the tournament and helping in the snack shack. This is a fun way to help support local youth sports. Please sign up soon as the registration deadline is August 4th! The State Primary Election is Tuesday, September 4, 2018 and the voting will be held at the Bridgewater Mitchell Middle School located at 166 Mount Prospect Street, Bridgewater from 7:00 a.m. to 8:00 p.m.
ABSENTEE DEADLINE: Friday, August 31, 2018 at 5:00 p.m.
For further information call the Town Clerk’s Office at 508-697-0921.